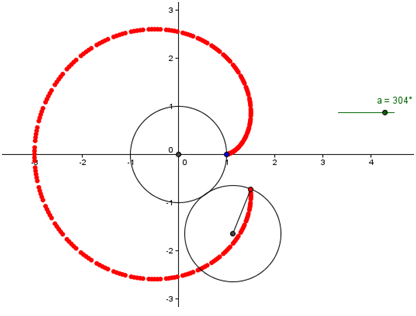 This is the 30th GeoGebra Tutorial of the GeoGebra Intermediate Tutorial Series. If this is your first time to use GeoGebra, you might want to read the GeoGebra Essentials Series. In this tutorial, we reflect a point on a unit circle about the x-axis and about the y-axis to form rectangle ABCD. We construct a segment with length equal to the area of the rectangle passing through point B. One of the endpoints of this segment is at the origin. 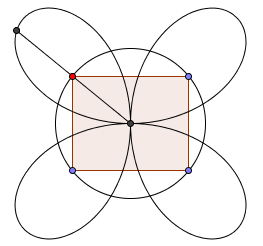 As we move the point B along the the circle, the trace of the end point of the segment that not on the circle’s center will form a 4-petal rose.